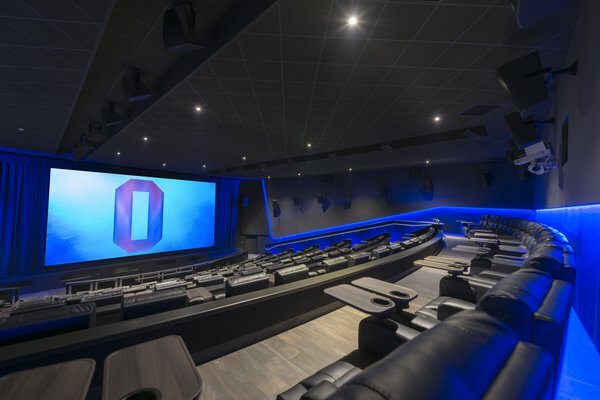 ODEON – the UK & Ireland’s leading cinema chain – has today announced ODEON Leeds Bradford will be re-launching as an ODEON Luxe cinema, making it the first in England. Following the launch of Europe’s first ODEON Luxe cinema in East Kilbride, Scotland in October, film fans in Yorkshire will soon be able to enjoy the ultimate in luxury when the new ODEON Luxe Leeds Bradford fully launches on 9th November. The cinema will become fully-reclining, with ODEON unveiling 1,117 luxurious handmade reclining seats across 13 upgraded screens, with increased leg room and personal space for guests, as well as retractable tray tables and a host of new food and drink options to ensure ultimate comfort. Cinema goers will also experience an overhaul of the technology in the cinema to deliver an outstanding viewing experience. The cinema will now boast a state-of-the-art, 147-seat iSense screen with 4K projection and cutting-edge Dolby ATMOS sound, providing a truly immersive, ultra-high-definition cinema experience. Film fans can enjoy breath-taking sound delivered by 234 new speakers across all auditoriums, with all standard screens upgraded with Dolby 7.1 Surround Sound and improved picture quality throughout. The improvements to the cinema come ahead of an exciting release schedule of new films, including, family favourite Paddington 2 (November 10th), superhero epic Justice League (November 17th) and the highly anticipated Star Wars: The Last Jedi (December 14th). Guests of the cinema can now choose from a range of food including freshly-popped popcorn, nachos, fries and hot dogs, as well as drink options including a Coca Cola Freestyle machine with over 100 different flavours to enjoy. ODEON Luxe Leeds Bradford will also feature an all-new Oscar’s Bar, which offers guests freshly-cooked pizza and a selection of alcoholic and non-alcoholic beverages.